iTech Creators: 3 Ways to Get Your New York City Business SoLoMo! Don’t Get Left Behind – Embrace SoLoMo Today! Do you SoLoMo? Yes, I realize that may sound like the the newest, trendiest neighborhood in New York City, but the acronym stands for social, local, mobile. What you need to do however, is get your head around why SoLoMo for Your NYC Local BusinessSoLoMo is not just a trend but a very important concept and marketing tool for your small business to utilize. 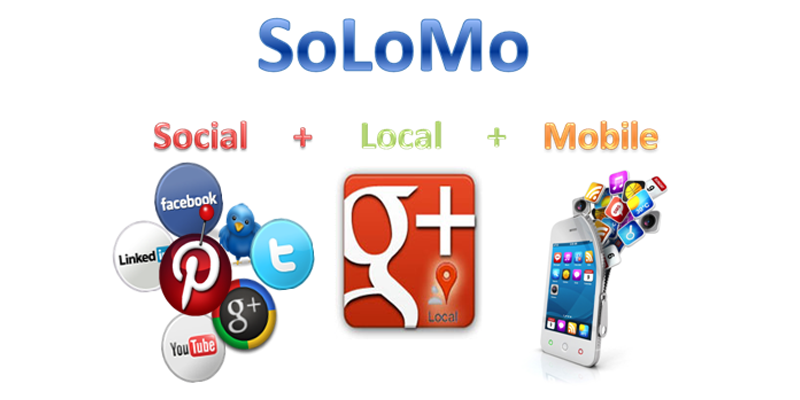 So what is SoLoMo and why do you want it? The marriage of these three was practically unavoidable. As location-based services have become ever more advanced, tracking our every move, it wasn’t such a huge step to having businesses reach out and touch someone (like you!) with location-based notifications and offers. Pew Internet & American Life Project recently learned that around 74% of smartphone users use their mobile devices to obtain local information, and approximately 18% are using them to check in on local businesses with geo-location services like Foursquare, Yelp and others. As increasing numbers of mobile users are seeking local products and services, either you and your company will find a way to serve these people, who are out, phone in hand and wallet virtually open, or you’ll discover your competitors will! Utilize social media – Using your social media accounts, such as Facebook, Twitter and others to engage and inform your audience is an excellent and inexpensive way to build relationships and your brand simultaneously. Be visible locally – Use local search directories that are suitable for your company, and actively market to your local customers. Spend some on mobile marketing – Mobile ads are returning excellent ROIs, as most users who are searching local are out there searching for it in the field. Also, some local advertising strategies, such as check in deals on Facebook or Foursquare are cheap or free. A great example of SoLoMo in action is exemplified by Walgreens. Checking in with Foursquare gives their customers coupons and a great deal more! SoLoMo is just going to continue to expand dramatically, so spend some time to make sure your small business is all set for it!